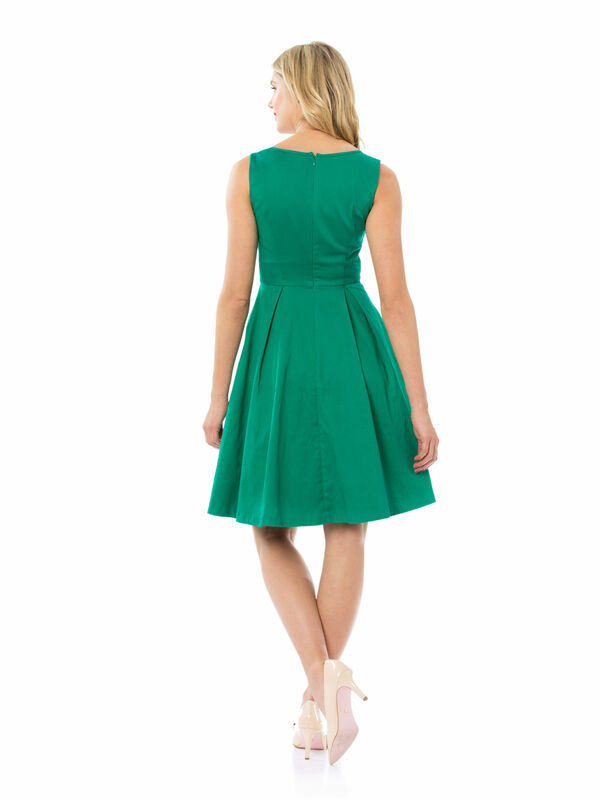 Broderie Dress https://www.review-australia.com/asia/broderie-dress/RE19DR130.REGRN065.html Bring timeless beauty and classic style to your next event in the Broderie Dress. Sure to feature prominently in your evening and events wardrobe, this style makes a statement with its feminine silhouette and fine detailing. It's fitted at the bodice and features a full voluminous skirt boosted with hidden tulle underlay. With a hailspot tecture through the stretch cotton fabric, the dress feels as fabulous as it looks. The neckline is embellished with bold broderie lace. Bring timeless beauty and classic style to your next event in the Broderie Dress. Sure to feature prominently in your evening and events wardrobe, this style makes a statement with its feminine silhouette and fine detailing. It's fitted at the bodice and features a full voluminous skirt boosted with hidden tulle underlay. With a hailspot tecture through the stretch cotton fabric, the dress feels as fabulous as it looks. The neckline is embellished with bold broderie lace.